Last week, I participated in Spark once more. It had been a while since I had taken part in Amy Souza's brainchild where perfect friends or strangers swap art, music, or writing and are given ten days to make new art, music, or writing inspired by what they have been given. I was so happily paired with artist Tora Estep. Here you see the painting I received on the first day, and right after, you will see the poem that it inspired. Below is the poem I gave to Tora on day one of our collaboration. Right after, you will see her painting that grew from it. Students - it is great fun to be part of this kind of collaboration, and this is why I have taken part in Spark several times. (If you wish, you can see all of the Spark collaborations I've been a part of here.) And as I always say, try it! Consider getting with a friend and swapping art or music or writing. Give yourself a handful of days by which you must each create something new from what you have received. If you do try it, please let me know...if it's poetry, I'd adore featuring you here. We are so much more together than each of us can ever be alone. Collaborating is a joy. Speaking of collaborating, this week we celebrated a baby poetry book birthday! 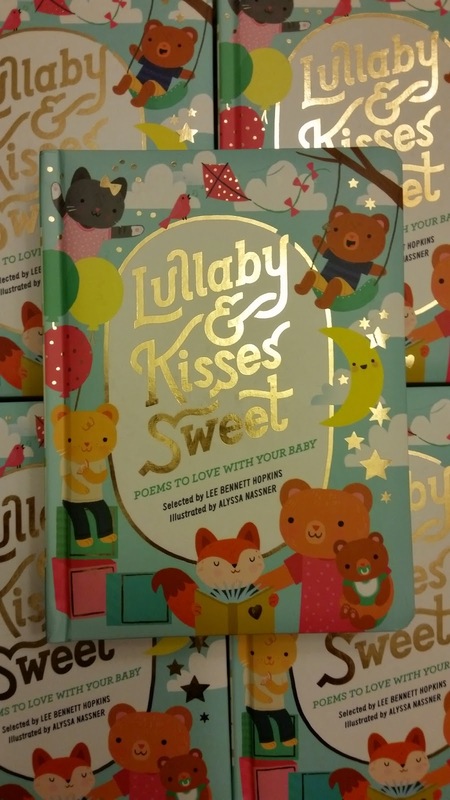 So many congratulations to Lee Bennett Hopkins and Alyssa Nassner for their new snuggly board book, LULLABY AND KISSES SWEET. I am honored to have a poem in this book - it's cuddling with poems by so many of my poetry friends. Robyn Campbell is hosting today's Poetry Friday roundup over at her site, Robyn Campbell. Visit there to learn about all of the poetry goodies being passed around all day, all night, all week long! I have ordered that anthology. It was such a great idea. I will share. Love the poem and the painting. What beautiful results came from your collaboration! And what a great idea it is - a form of ekphrastic art that has mutual benefits! 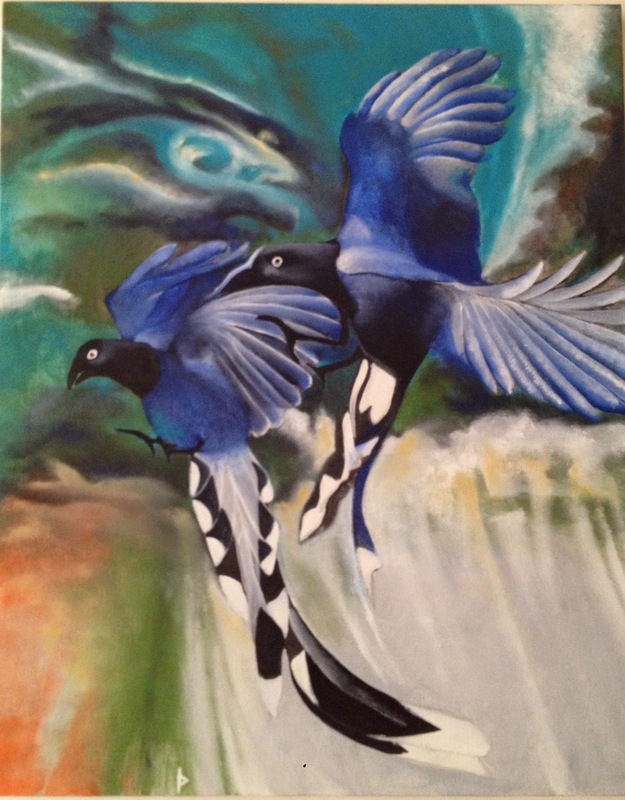 The first pairing – "the Magpies" and "Mate for Life" – touched me deeply. I love both pieces on their own, but together... wow. You can only imagine how much I love these marriages of writing and visual art - so beautiful, each piece. They expand us. I'd forgotten about spark, Amy. I just started a new poetry group, so will remember & use the idea. I suspect the students will adore doing it. Your poem is beautiful, a true love poem. 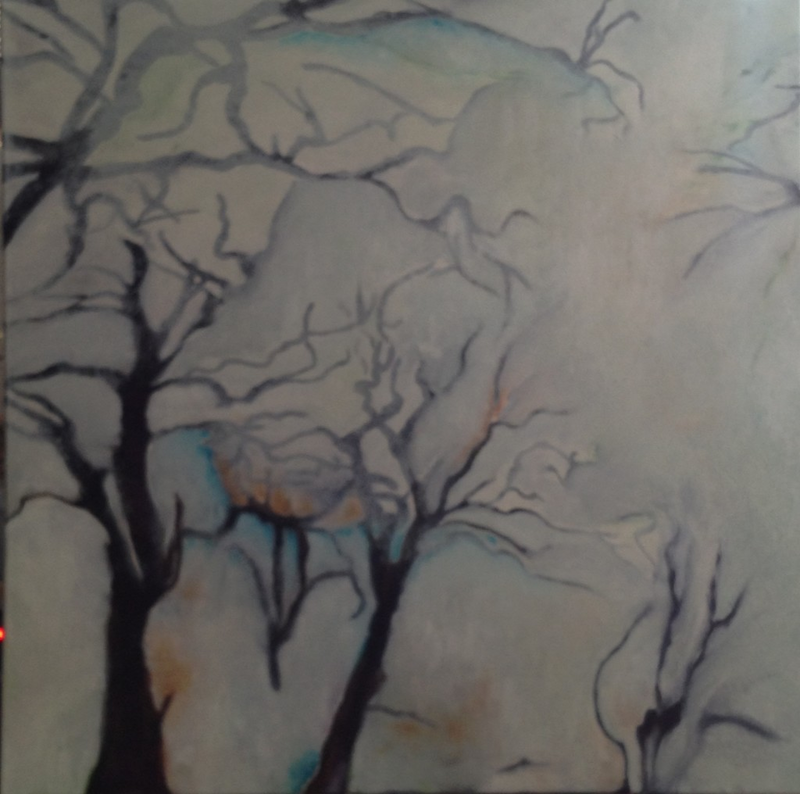 And love the painting done for your second poem, "I love you like sky." What fun to see these! I would love to know how to do this. I've seen it before on PF. Let me know next time a round comes up. Have you seen the haikullaboration with Sharon Creech and Peter Reynolds? I got a little teared up about the magpies. What a sweet story. And that patterned poem about the sky! Lovely, too. What a fun exchange. A great way to expand on art and have fun getting to know other artists. Thanks for sharing. What a great idea. These are beautiful! You rock, so proud of you and LOVED the bird poem. ALV POWER! A pair of perfect pairs. That magpie poem brought tears to my eyes. I can't wait to get Lullaby and Kisses Sweet for my little granddaughter! That poem..Mate for Life. Our grandparents had the same kind of love. Thank you.